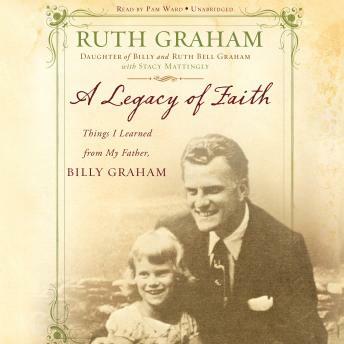 Ruth Graham is the third child and youngest daughter of Billy and Ruth Bell Graham. In A Legacy of Faith, Ruth provides a rare look at the twentieth century’s most influential evangelist. Ruth offers her insight on several different subjects, including her father’s love for the world and his humility, grace, and loyalty. She concludes the book with a chapter on authenticity, written just after Dr. Graham’s final crusade. This book contains and excerpts from personal letters, as well as new content from Ruth.